If you own a company of any size, you’re probably familiar with labor posters. Labor posters—those placards with information about employees’ rights—are unsightly but mandatory wall décor for every workplace, and the penalties for not putting them up are stiff. Here’s what you need to know to avoid labor poster-based fees in 2018. Displaying prominently labor posters for your employees to see comes with several benefits to both you and them; these benefits include everything from employee morale to avoiding the aforementioned penalties, so it literally pays to keep your posters mounted and readily visible. While you may want to find a way to post labor notices without being tacky, ensuring that your labor posters are easily accessible without needing to actively search for them will play to your advantage during an audit. Failing to meet the proper criteria for your posters (e.g., correct placement, up-to-date content, dimensions, etc.) can result in a fine of anywhere from a few hundred dollars to up to $10,000 per violation depending on the posters you’re missing. For example, health-related posters such as reminders not to smoke may net a small fine, while things like fair labor provisions or OSHA requirements fall significantly farther up on the severity spectrum. Regardless of the posters you have to use, you must place them in easy-to-access, common sense areas—work environments and employee lounges come to mind—and the posters will need to fit the dimension criteria specified for each poster in order to ensure that they are easily readable. It’s also worth noting that, while not strictly necessary in most places, emailing copies of your company’s labor posters to remote employees as an act of good faith will ensure that the employee fully understands their rights while covering you in the event of an audit. 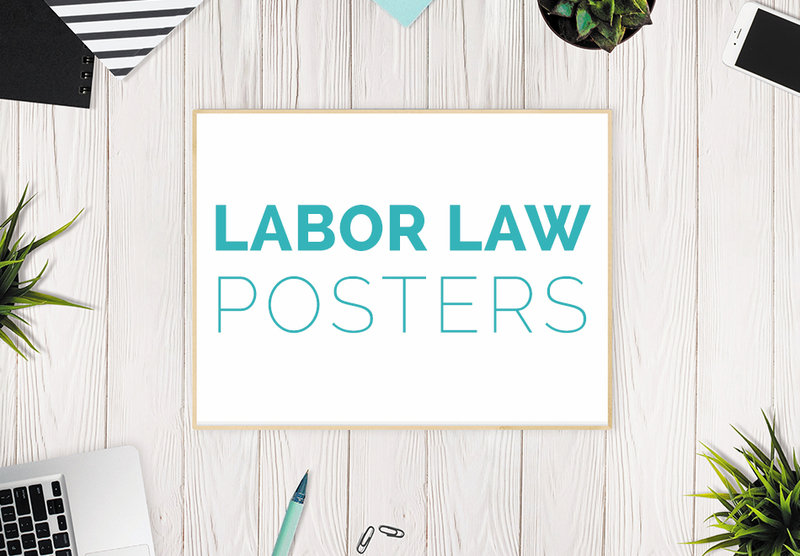 Many HR and labor-related legal sites offer the option to bulk-purchase all of the above posters, so check online to make sure you’re getting the most recent versions of labor notices. Every state has slightly different criteria for the posters you must display in your workplace. While common examples of posters which defy categorization include things like the current minimum wage, “No Smoking” signs, and the ubiquitous Equal Opportunity notice, your state may require additional specific posters depending on state-wide laws. Intuitively, the easiest way to make sure your business is compliant is by checking your state’s list of required labor posters. Poster requirements also extend past the content of the posters; for example, your state may require you to post certain notices in areas where both regular employees and job applicants will be able to see them within reason, and many states also require certain posters to remain at or above specific dimensions. Your state might even require federally mandated posters to appear larger than the federally required dimensions. As with universally required posters, you can usually find your state’s mandatory labor notices online on HR and labor websites. Some states, such as Pennsylvania, even provide the necessary posters free of charge. As previously mentioned, some posters have to fit specific criteria, such as meeting size requirements or displaying in communal areas. These criteria may change on a yearly basis, so your HR department should keep an eye on each year’s labor updates to ensure you order the necessary posters well ahead of the current year’s deadline. Poster content may change as well, so it’s incredibly important for you to update them as needed—both to keep your employees abreast of changes to their rights and to avoid the stiff penalties that accompany lack of compliance. It’s important for your employees to know their rights per the pertinent labor laws, which is why keeping your workplace’s labor posters up to date and readily available is crucial. For more information about your state’s labor laws or posting tips, call Abacus Payroll at (856) 667-6225 today! Abacus Payroll’s HR Help Center can also be useful in explaining the mandatory poster requirements. Contact us today for more information on online HR Help Center starting at only $10 a month.